See all 2,033 properties in Miami Intl. 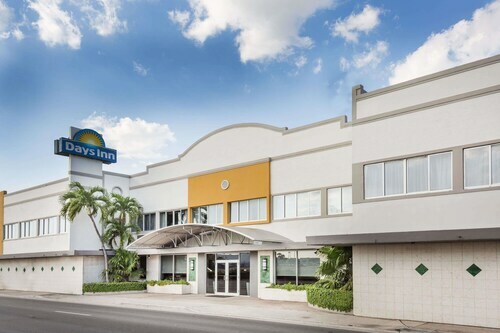 Just 1 mile from Miami International Airport and 7 miles from Miami beaches, hotel offers a complimentary shuttle, hot breakfast buffet, Wi-Fi and 42 inch high definition televisions in each room. 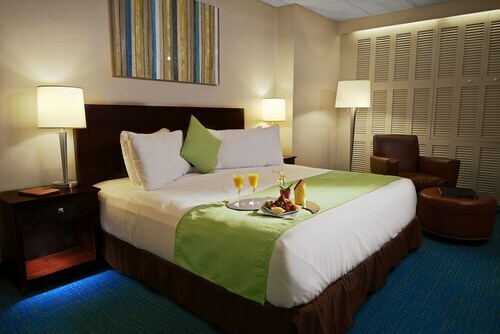 Located on a lush peninsula in a secluded corporate park 6 miles from downtown, this 14-story hotel is 11 miles from the Miami Beach Convention Center and 12 miles from South Beach. 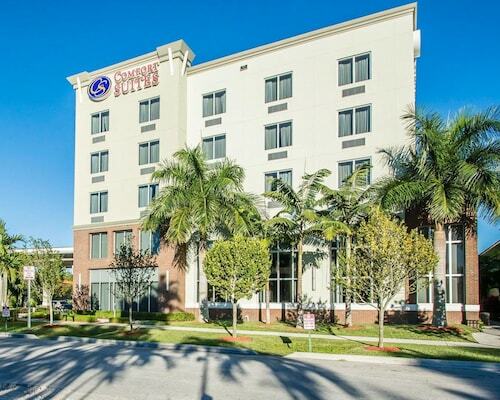 This hotel is 1 mile (2 kilometers) from Miami International Airport, with complimentary shuttle service. Discount transportation is available to the Port of Miami, 8 miles (13 kilometers) away. 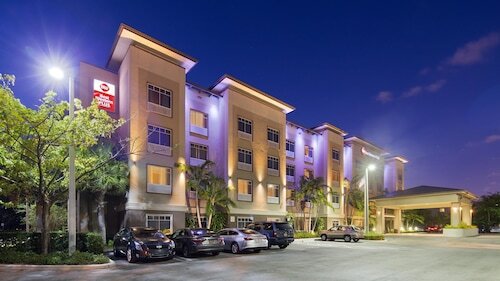 Situated near the airport, this hotel is 1.2 mi (2 km) from Miami Jai Alai and within 3 mi (5 km) of Grapeland Water Park and Hialeah Racetrack. Miracle Mile and Marlins Park are also within 6 mi (10 km). Situated in Miami Springs, this golf hotel is 1.9 mi (3.1 km) from Miami Jai Alai and within 6 mi (10 km) of Miracle Mile and CityPlace Doral. Magic City Casino and Jackson Memorial Hospital are also within 6 mi (10 km).